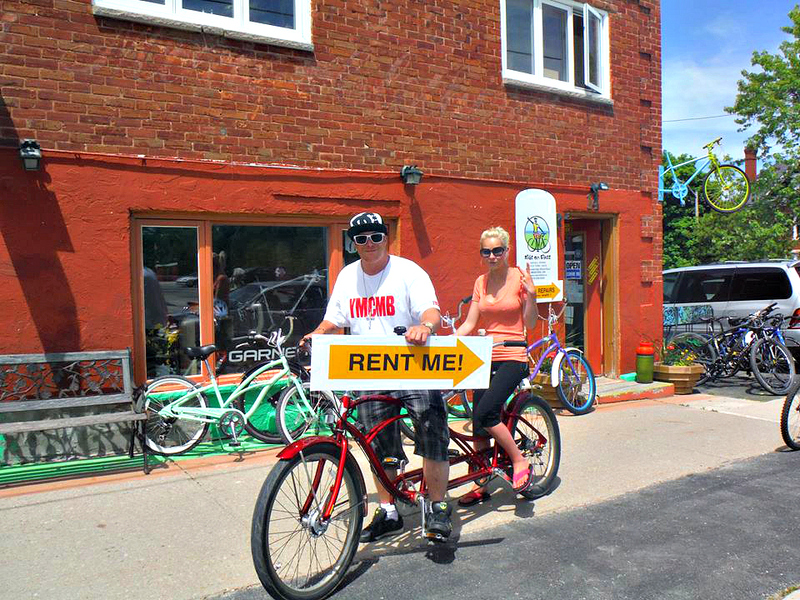 Ride On Bikes is a one-stop, bicycle sales, rental, tour and repair shop located in Meaford, Ontario, less than 1 minute from the harbour and the start of the Georgian Trail. The best way to explore beautiful Grey County? Rent a bike and tour with Ride On! Their guides will take you to out-of-the-way beaches, waterfalls and spectacular views of Georgian Bay most visitors will never see. Learn about area history, enjoy a picnic lunch and feel the health benefits bicycling has to offer. Ride On tours are designed specifically for recreational cyclists. You can ride at your own pace, it’s not a race! They can customize a tour for a group of 6 or more. 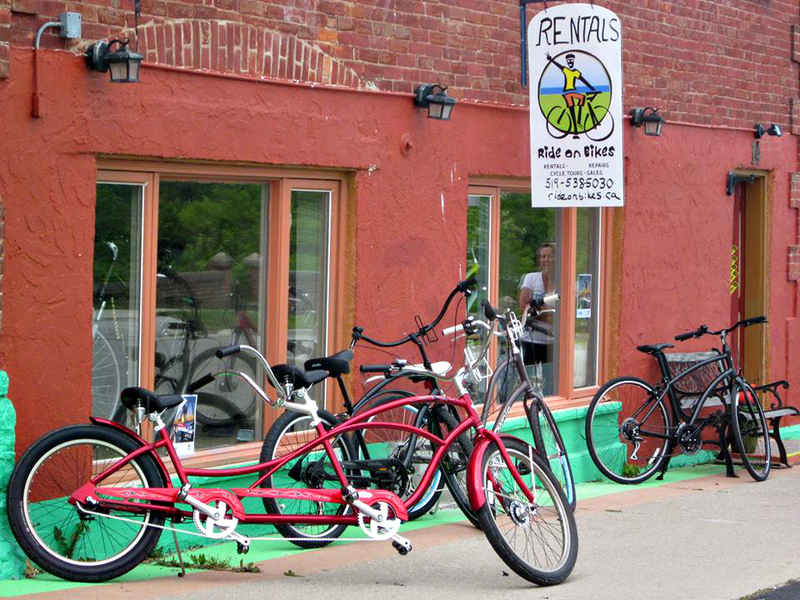 Brands available for rent or purchase include Garneau 29er mountain bikes and comfort bikes; various models of Electra; tandem bikes, and kids’ trailers. Consider purchasing a Ride On Bikes bike tour (or rental) gift certificate for your friends, family, co-workers – it makes a great gift of health and fitness. Ride On Bikes is open every day from 10 am – 5 pm.